Members of the public are invited to hear local and overseas musicians play pieces by Mozart, Haydn and Handel on 5th November. 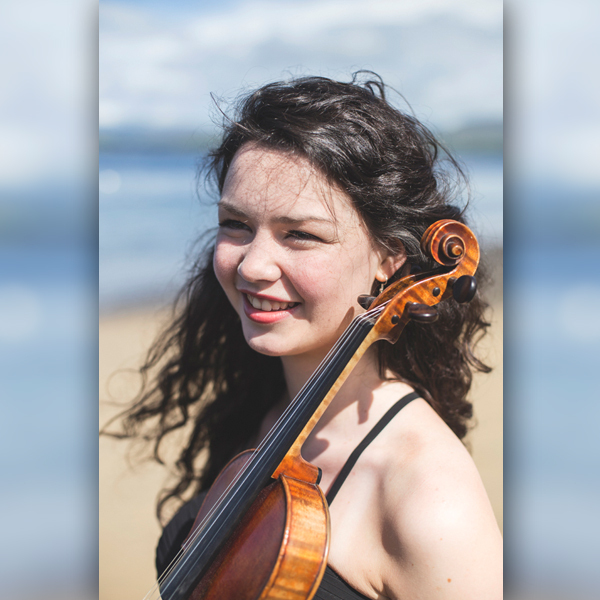 At the Bermuda Philharmonic Society’s Autumn Classics performance, Bermuda-born Irish violin prodigy Mairéad Hickey will solo during Mozart’s Violin Concerto No. 3, saying: “I am delighted to be returning to Bermuda to participate in Autumn Classics. Other Autumn Classics pieces include Franz Joseph Haydn’s, Symphony No. 90 in C Major and George Frederic Handel’s, Arrival of the Queen of Sheba. 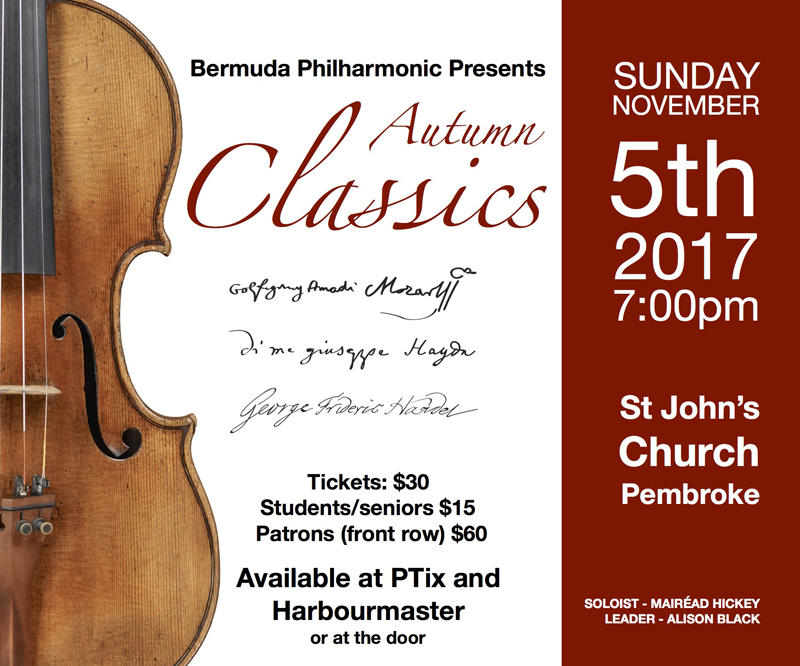 The concert, being led by Bermuda-based violinist and President of the Philharmonic Society, Alison Black, will take place at 7 p.m. in St. John’s Church, Pembroke, on Sunday, 5th November. ‘The works we will be playing embody the very best of the classical period…full of rich colours, poise and beauty and evocative of the European style of the day. Having the Mozart concerto played by such a fine young artist will be a highlight’. Tickets cost $30 [$15 for students and seniors/$60 front row for patrons] and are available at PTix, Harbourmaster, Vallis & Hayward Ltd. [Suite 202, 2nd Floor International Centre, 26 Bermudiana Road, Hamilton] or at the door.